Sgt. Winston Windflower, head of the Grand Bank RCMP Detachment in Newfoundland, has just returned from an assignment in Marystown when he hears about the murder of Amy Parsons, a local girl who was going to university in St. John’s. At the same time, he is given a human trafficking case that seems to suggest that Newfoundland is not as quiet as people may think. Add to this the surprise visit of his uncle from Alberta, and the return of Windflower’s girlfriend from rehab after a serious car accident, and the sergeant is a busy man indeed! 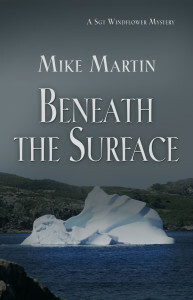 Beneath the Surface is the third book in the Sgt. Windflower Mystery Series. It is a suspenseful read, and it contains vivid and beautiful descriptions of Newfoundland and its weather. I thought it was interesting that Sgt. Winston Windflower was of Cree heritage, and it fit in nicely with the story. There were also fun references to movies and books throughout the novel. However, I don’t think that the reader needed to know when Sgt. Winston Windflower took a bath, or what he ate for each meal. A few references to local cuisine would have been enough to give the reader a sense of what Newfoundlanders liked to eat. In addition, I thought the strike at the fish plant didn’t really fit in the story. 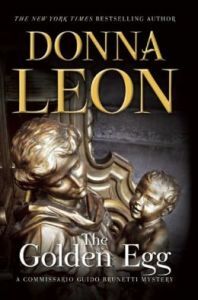 In fact, while the author talks about important and interesting subjects (human trafficking, sexual harassment, corruption, etc. ), there were too many subplots in the book. It was an entertaining novel though, and I certainly would like to read more about Sgt. Windflower’s adventures as a Canadian Mountie. Beneath the Surface was sent to me for free in exchange for an honest review. 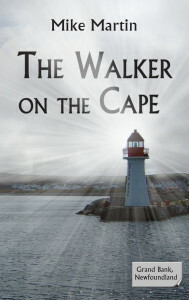 When Mike Martin wrote The Walker on the Cape, he had no idea it would be the first book in a series. The characters had a mind of their own, and demanded a sequel to the story. The author is actively supporting small independent bookstores. The Sgt. 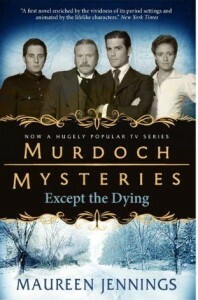 Windflower Mystery Series has been optioned for a TV series. Mike Martin will be working as a creative consultant on the show. 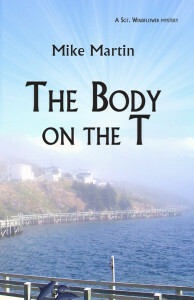 To read Mike Martin’s recent guest post on Book Obsessed: Mike Martin’s Guest Post.